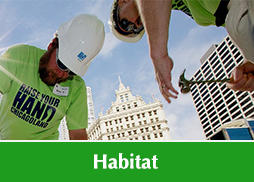 Habitat for Humanity ReStores are nonprofit home improvement stores and donation centers that sell new and gently used furniture, home accessories, appliances, building materials, and more to the public at a fraction of retail price. 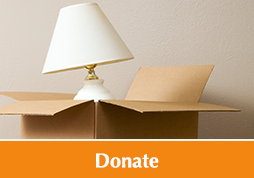 Each ReStore in Chicagoland is proudly owned and operated by the local affiliate in the area it serves, and creates a never-ending cycle of repurposing home goods for a greater good… offering great deals to shoppers and great benefits to donors, the environment and our communities. Proceeds from sales go directly to help provide affordable housing for deserving local families by funding the building and revitalization of homes and communities. All money stays in your area, so you can feel good about helping your neighbors and restoring your neighborhood. 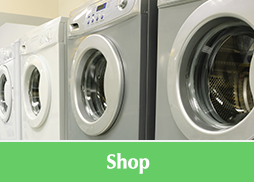 By donating your gently used items and reusable materials to be resold and repurposed, you help keep millions of tons of potential waste out of landfills or off area streets each year. Plus, you give another family the chance to complete a home project at significant savings. It’s a win-win for all!